University of Arkansas history professor Beth Barton Schweiger and Donald G. Mathews of the University of North Carolina at Chapel Hill have edited a book on religion in the American South from the beginning of the 18th century to the Civil Rights movement of the 1960s. 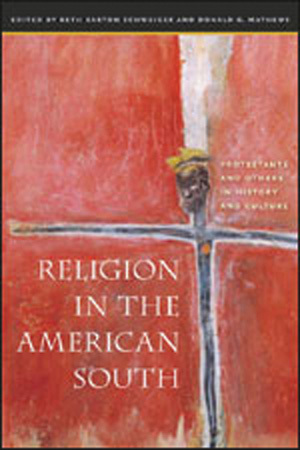 “Religion in the American South: Protestants and Others in History and Culture” incorporates essays from young scholars with different perspectives on religious experiences. The essays address various subjects often not considered in discussions of the Bible Belt, including Muslim slaves, biracial revivals, southeastern Indians, Confederate soldiers, North Carolina Jews, white Pentecostals and black Memphis &eacute;migr&eacute;s to Detroit. This collection pushes the scholarly conversation on Southern religion into new territory. It demonstrates the importance of religion in the South to American religious history and to the history of the nation as a whole. It also shows that religion embraced and interpreted every corner of society — from the nightclub to the lynching tree; from the church sanctuary to the kitchen hearth. The collection also raises questions about 18th-century religious history, conversion narratives, the cultural power of prayer, the importance of women in exploiting religious contexts in innovative ways, and the interracialism of Southern religious history.